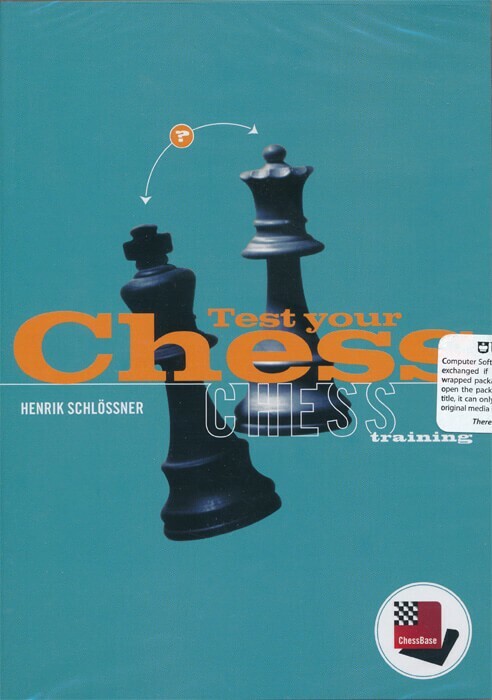 by Henrik Schlussner (CD) In the training questions, the new function Multiple Choice also allows questions to be set about the evaluation of positions, or for example what chance is there of an attack on the king. Possible answers are always suggested and the training is done by clicking on what you consider to be the correct solution. But things do not have to be simple? The author has provided 555 game fragments with training questions and divided the material into six chapters: ? Mate (find the first move or perhaps the number of moves till mate) Attack (find the best moves for a decisive attack) Defence (find the best defensive move) Winning material (find the move that will win material) Mistakes (avoid a decisive error) Stress (you must make up your mind within 30 seconds) Positional evaluation (you have to find the right assessment of the position) ? The software is stand-alone, no other software is needed; ChessBase reader is included on on the CD. About the author: Henrik Schlussner is the author of the tactics database on the Tal-CD and is also responsible for Technique Trainer 1 and 2. SYSTEM REQUIREMENTS: Pentium, 32 MB RAM, Windows 98 SE/2000/Me/XP.